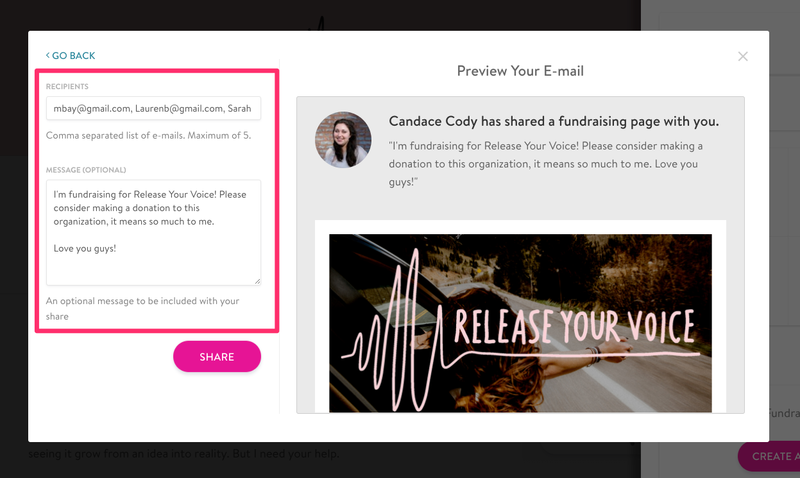 As a fundraiser, you're able to share a stylized email to your networks to help you share your fundraising page with your community and raise more funds. 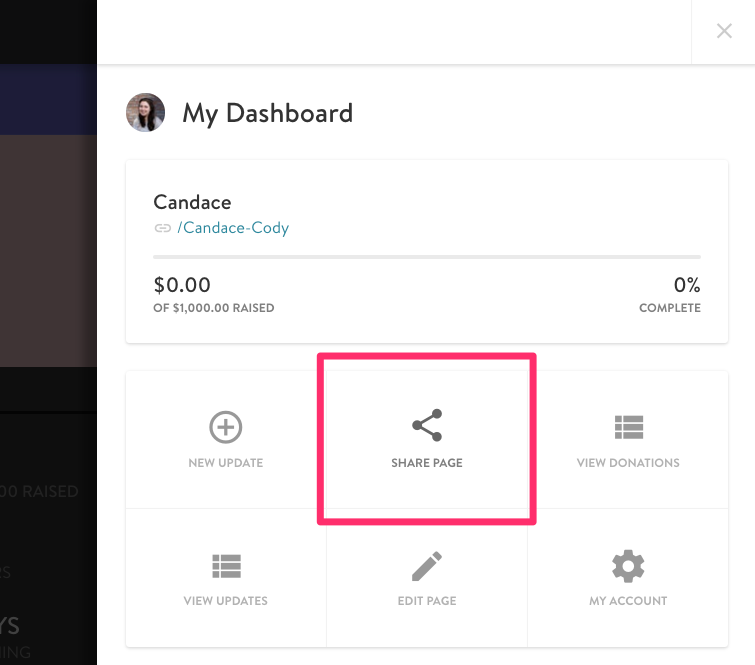 Step 2: Select the Share icon. Step 3: Select the Email sharing option. 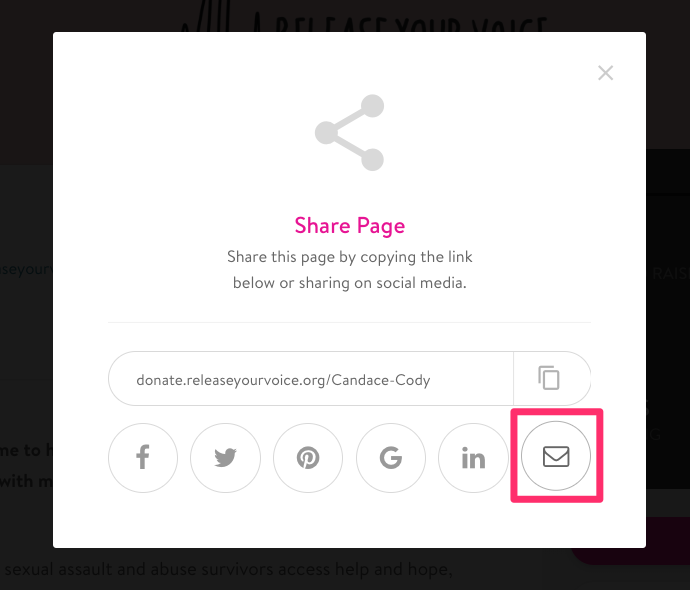 Step 4: Enter in email addresses (up to 5), enter a custom message, and share.